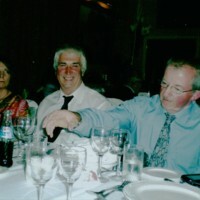 A photo of dinner celebrations at Ita McClelland's 25 year reunion event. 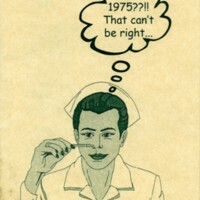 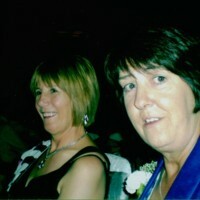 A photo of Ita McClelland at the 25 year reunion celebration of her Nurse Training group. 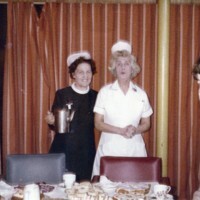 A photo of Maisie McNailly holding a tea-pot standing with another nurse at a dinner event.